The Bulldogs outscored their 5 opponents 342-46, with 18 of those 46 points coming via forfeit. 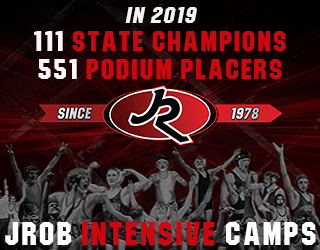 Nate Rubino (106), Jakason Burks (120/126), Jeromy Nielsen (132/138), Trey Nielsen (145), Jaxon Kelley (152/160), James Burks (160/170), Austin Dougherty (182), and Dillyn Miller (195) all 2 or more matches on the day. Jayden Looney (126/132), Kevin Castle (138), Deson Stapleton (152/160), and Dylan Sales (220) only lost 1 match on the day. The Patriots were planning to attend a tournament in Iowa, but the cancellation of that tournament caused them to join the Vern Ekfelt Invite last minute. They finished 2nd in the team race beating 3rd place Plattsmouth by 27 points. Ian Rudner (120), Creighton Baughman (145), and Cole Price (152) won tournament titles for the Monarchs, while Nolan Niemiec (132), Travis Powers (160) and Carson Maas (182) finished as runner-ups, while Ben Kroeger (106) finished 3rd. The Eagles won 3 of their 5 duals by margins of 2, 3 and 4 points to take home the tournament title. Emilio Haynes (113/120), Deon Davis (145), Justin Davis (152/160) and Ka’Ron Davis (182) all posted undefeated records and combined for 16 falls, while Ryan Turner (120/126), Christopher Kueny (138), Jacob Hilding (195), and Jacob Frezell-McClinton only lost one match on the day. The Panthers placed 12 wrestlers in the top 5 to outscore 2nd place Fremont by 44.5 points. Leading the way were tournament champions Josh Licking (152), Brayden Splater (160), Creighton Blain (182) and Conner Cowling (285) who combined for 8 falls. Aaron Dittmer (126) and Laikon Ames (195) finished 2nd while Blake Forsythe (170) and Hunter Mangelsen (220) finished 3rd. The Chieftains finished in 4th place, just 3 points behind the 3rd place team and 30 points behind the 2nd place team. The Grice Brothers cruised to the 106 (Gabe) and 113 (Garrett) titles, and both of them beat 2nd ranked opponents in the finals. 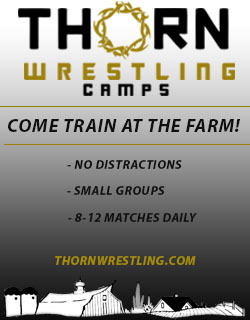 Gabe recorded 2 falls and 2 technical falls while Garrett pinned all 5 opponents on the day. Daniel DeRosier (126) finished 2nd while James Larson (170) and Preston Welch (285) each finished 3rd.